If you've read my blog for a while you'll probably know I'm a huge candle lover, I've even been given the name 'crazy candle lady' by my family, I'm just obsessed and literally have a candle burning everyday in my house because not only does my house then smell amazing but I find candles are just so inviting and homely. 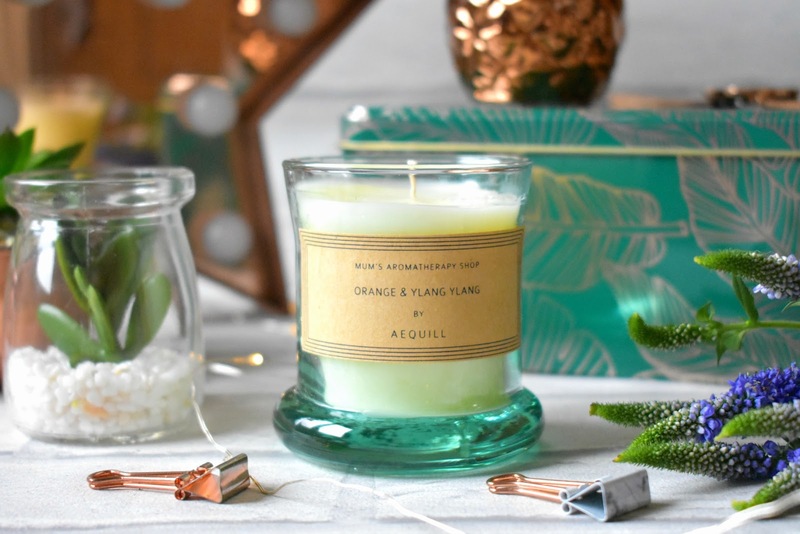 I've been trying to move away from the autumnal, warming scents recently and have more Spring/Summer vibes going on because lets face it, I'm fed up of this cold miserable weather so anything that's going to give me a pick me up I'm all about right now and Aequill's Orange & Ylang Ylang Candle* has been doing just that! The Orange & Ylang Ylang Candle is so lovely and smells quite classy and spa like, it contains Bergamot, Sweet Orange, Ylang Ylang and a Lavender essential oil blend which create such a calming, soft yet sweet scent which is right up my street. The orange within the candle is quite sweet and uplifting yet the ylang ylang and the lavender really have a calming effect, it's a great all rounder candle really! The scent throw is really good and fills the house within minutes of being lit but it's not overpowering in the slightest. The burn time is impressive too, I have the 100g travel size candle which claims to burn for up to 16 hours which is pretty good going for something travel sized hey! 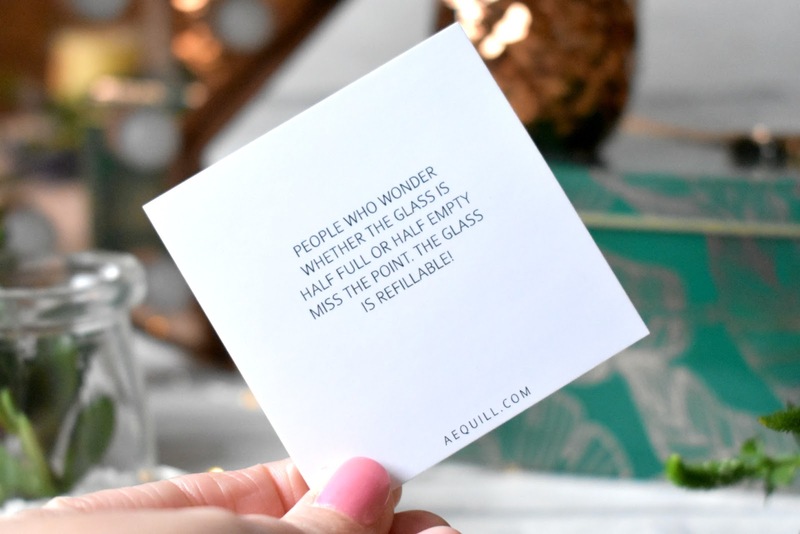 What draws me in to Aequill's candles so much is their 'green' vibe, all of the Aequill candles are hand poured into 100% recycled - mouth blown glass jars with a non-toxic, lead free cotton wick, you can even send back your jars once you have burnt the candle and have them refilled at a discounted rate which I think is pretty epic and something I've never heard of before. 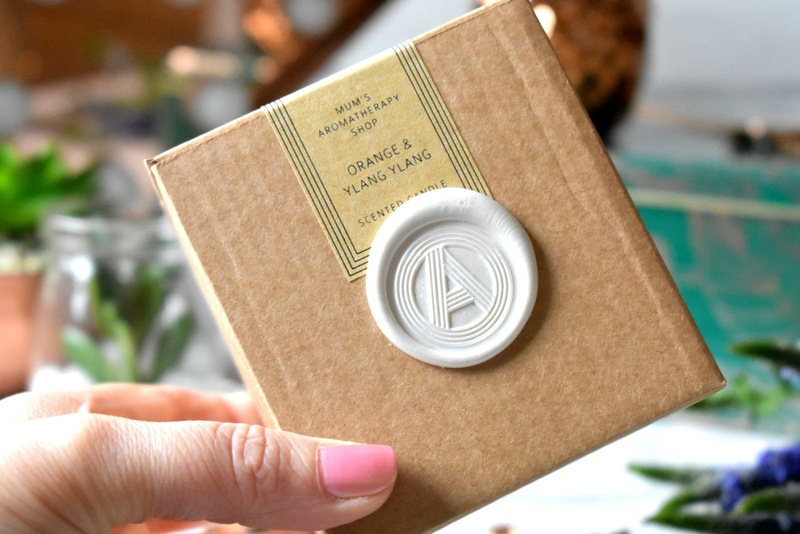 I also love how the outer cardboard box is hand-stamped with a wax seal, it's such a lovely touch and looks so well presented if your buying the candle for a gift. 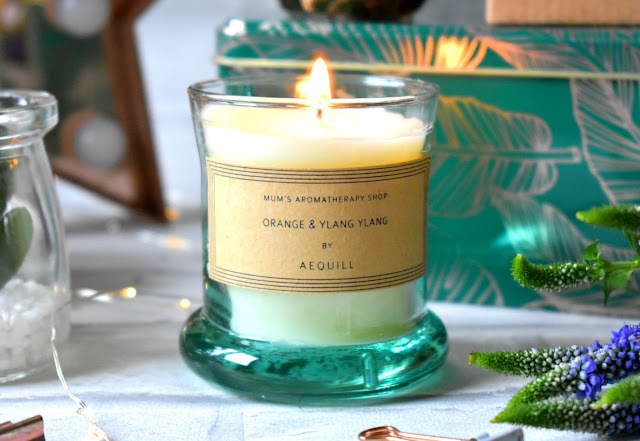 You can find the Aequill Orange & Ylang Ylang Travel Size Candle for £16.00 HERE or the larger 200g size for £26.00 HERE.